Great for home, work or auto! 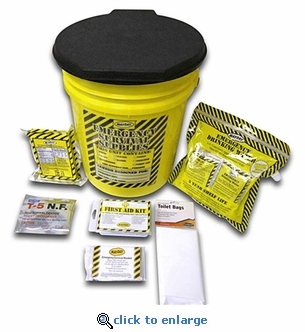 This one person kit has everything you need in the event of an emergency. Features basic rations in a crush resistant 5 gallon bucket with lid.